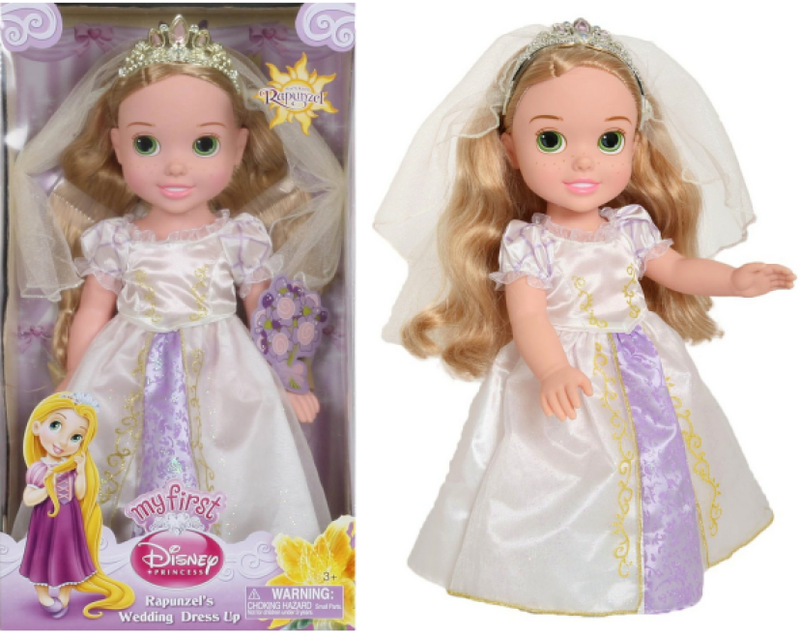 BEST PRICE - My First Disney Princess Rapunzel’s Wedding Dress Up Doll Only $9.33 (Reg. $28)! You are here: Home / Great Deals / Amazon Deals / BEST PRICE – My First Disney Princess Rapunzel’s Wedding Dress Up Doll Only $9.33 (Reg. $28)! BEST PRICE – My First Disney Princess Rapunzel’s Wedding Dress Up Doll Only $9.33 (Reg. $28)! Hurry! Right now you can grab this My First Disney Princess Rapunzel’s Wedding Dress Doll Up for Only $9.33 (Reg. $28)! This is one of the lowest prices for this! Plus, shipping is FREE with Amazon Prime (sign up for a FREE 1 month trial of Prime here)!